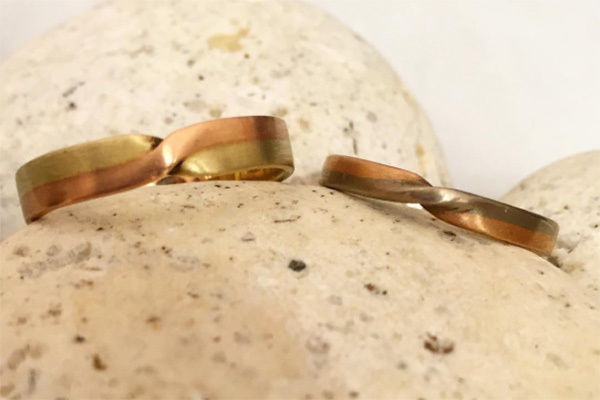 “Mobius” laminated wedding bands of green, white and rose gold. Left wide band green and rose gold: $720. Right narrow rose and white gold band: $610.